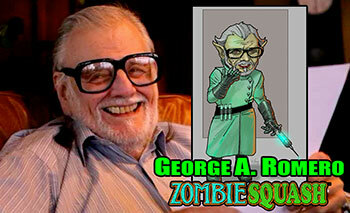 George A. Romero, the Godfather of All Zombies, provides the voice of the games' lead villain, Dr. B. E. Vil. Since his ground-breaking, trendsetting masterpiece, ‘Night of the Living Dead’ George Romero’s name has become synonymous with zombies. This time around, Romero creates a new cartoon-style voice in Zombie Squash™ as an evil scientist. 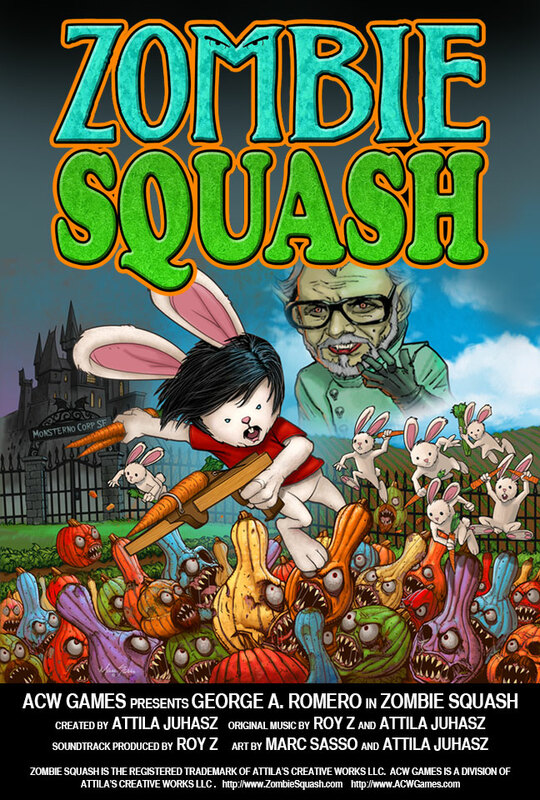 ACW Owner Attila Juhasz created Zombie Squash™, a world where vegetation has gone wild from evil experiments gone wrong. 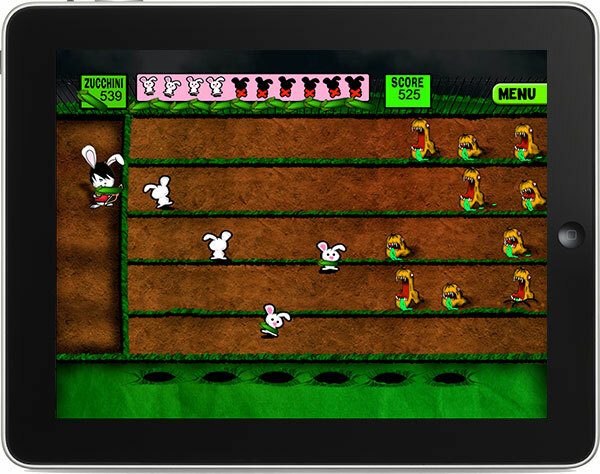 Zombie Squash™ is a tower defense style game where the Player is a rabbit named Jack Stompingtail who fires carrots, zucchini and other garden ammo at Dr. B. E. Vil’s horde of gorde onslaught. The player has to try and stop the Zombie Squash™ from taking over the world. 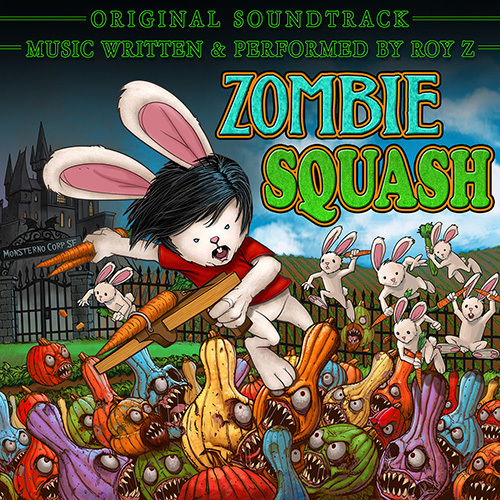 The soundtrack was written and produced by Billboard charting producer Roy Z, known for his stellar work with Judas Priest, Sepultura, Halford and Bruce Dickinson. Soundtrack Available at iTunes and Amazon. 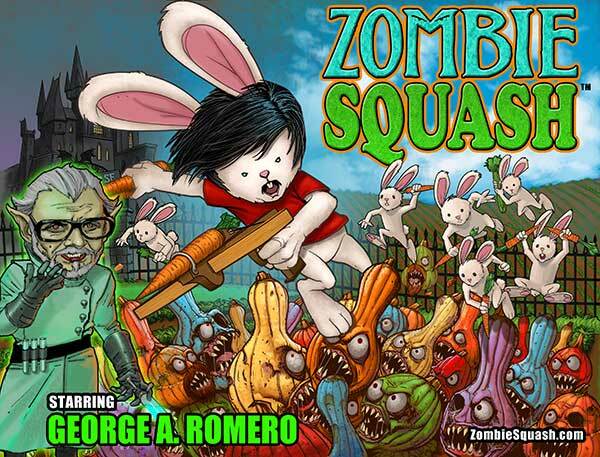 Press may email attila@attilajuhasz.com for inquiries for promotional digital copies of the soundtrack. 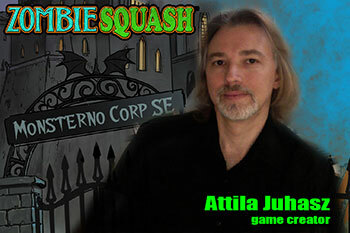 Attila Juhasz formed Attila’s Creative Works LLC in Phoenix, AZ in 2005. 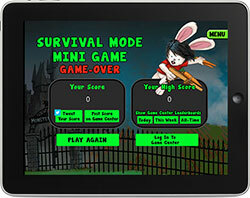 ACW Games is a division of Attila’s Creative Works LLC. 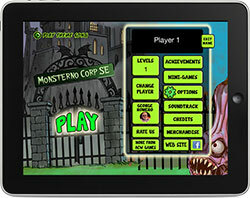 On September 25, 2012, ACW released the top rated iPad App 'Horror Movies & Trivia.' 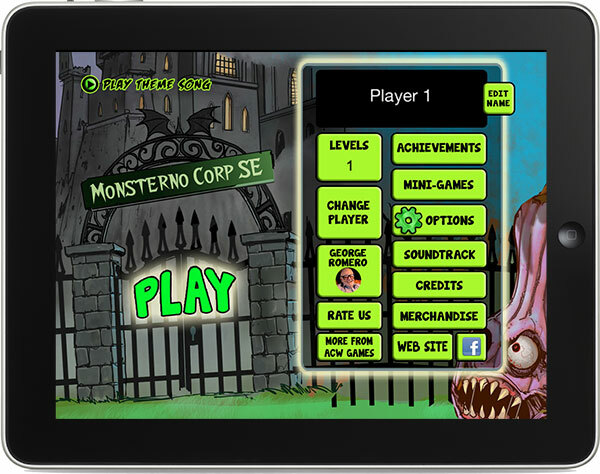 After thousands of downloads, it has 196 ratings for an average 4.5 out of 5 star ratings as well as 70+ 5-star reviews. 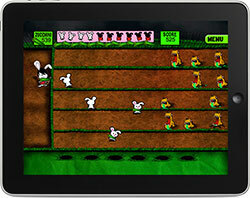 ACW offers creative services including web design, graphics, app development, editing and DVD authoring. 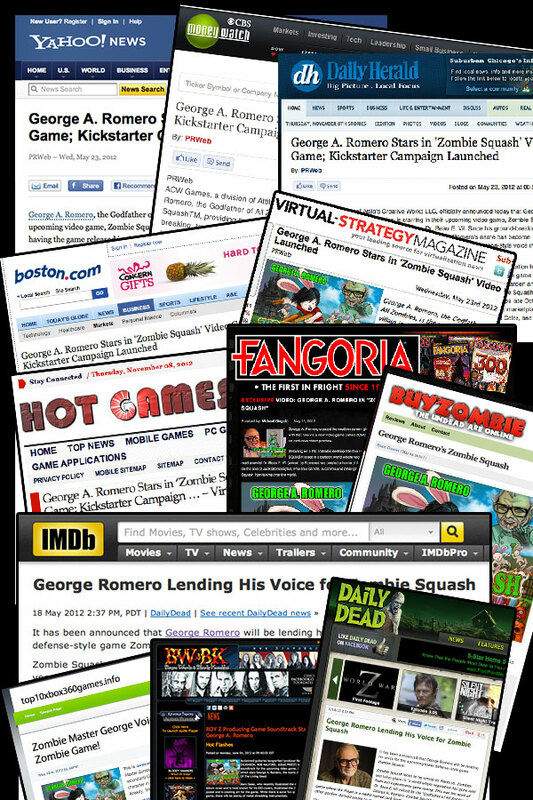 ACW owns and operates a network of websites including the popular web site HorrorMoviesBlog.com.